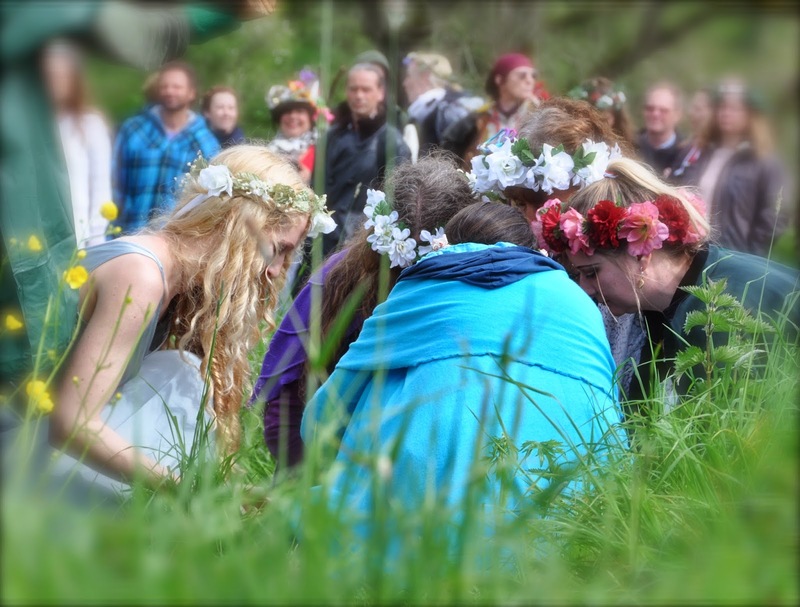 So we had a wonderful time again for Beltane in Glastonbury 2014. The rain came down for a part of the day but that did not deter the determined folk in their mission to bring in the May! 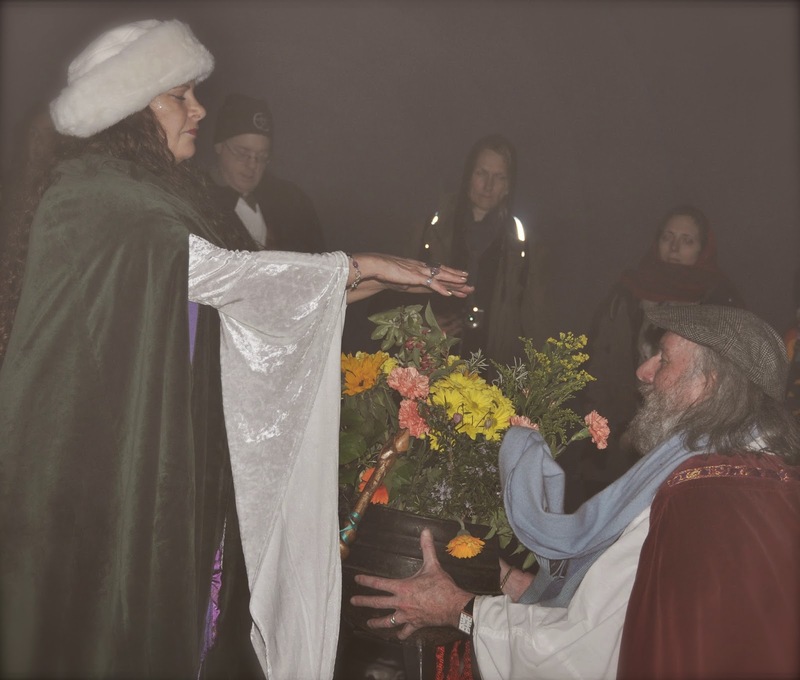 We started our celebrations on May eve with a beautiful ceremony at the Glastonbury Goddess temple. Unfortunately we had forgotten how incredibly popular this ceremony has become so we didn't arrive early enough and the temple was already full! Such was the amazing energy though that even sitting on a step just outside you could feel the love emanating from the building. We then went on to the mapole dance and fire jumping outside the temple. No sunrise to be seen today as it was a misty start but very atmospheric. We then went down to the Chalice Well gardens for the ceremony and jumping of the fire accompanied by beautiful singing and drumming from Jana Runallis and her friends. The day then went on to entertainment in the town square which was lovely but the rain came down at that point so we did seek shelter for a while! However up at Bushey Coombe for the ceremony the sun came out and blessed us with her brilliance, it was a beautiful start to the summer, winter really has gone away and summer is here to stay. 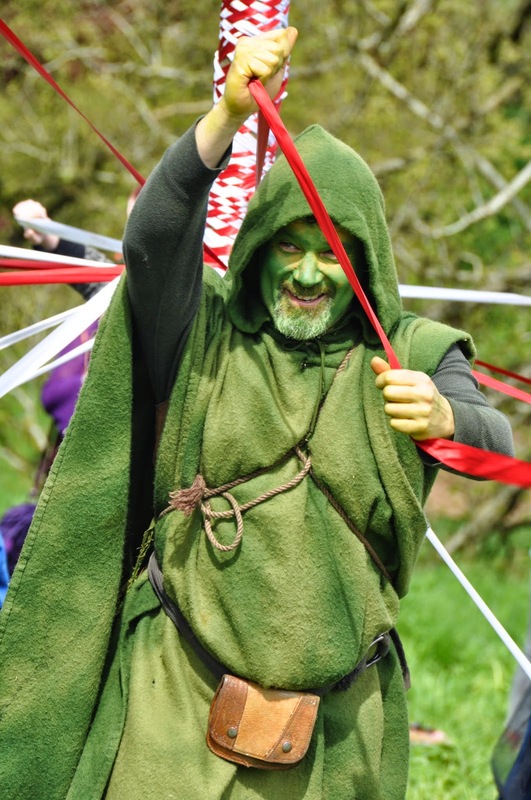 During the ceremony, the Arch Druid of Glastonbury was re-named the Arch Druid of Avalon, such a fitting title for this beautiful land. If any of you has the chance to visit this beautiful place do go, it has such amazing energy. 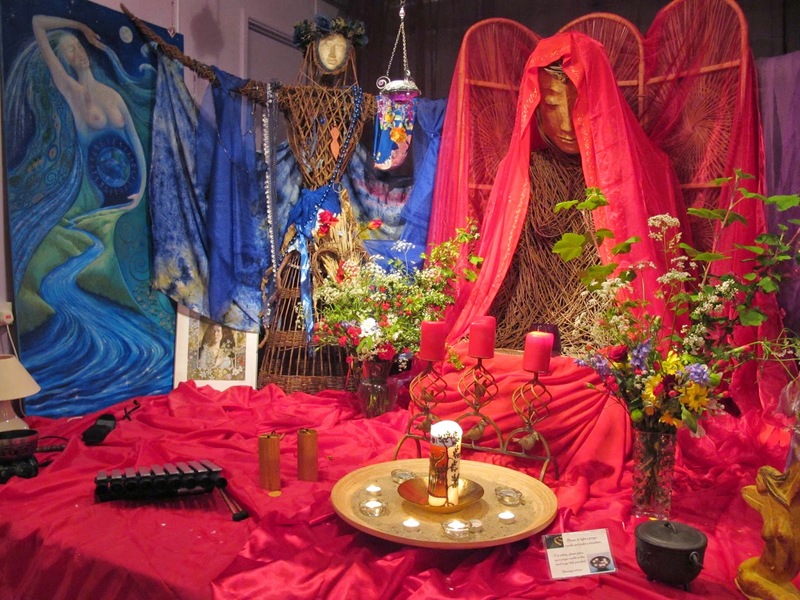 I now feel my spiritual battery has been re-charged a little, Beltane in Avalon is a wonderful experience and I feel very privileged to be able to be a part of it. 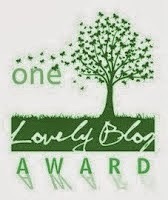 Wow, your Beltane sounded so lovely and wonderful! Thank you so much for sharing! Maybe one day in the future probably not any time soon, I will finally get to do my big trip and make it in time for Beltane! Wonderful...thank you for sharing. Would love to go someday and share the experience.